Property 4: Comfortable accommodation for one or two people with lovely views of Dartmoor. Property 9: Secluded cottage very close to Skye Bridge and within Kyle of Lochalsh village. Property 10: Stunning coastal views! 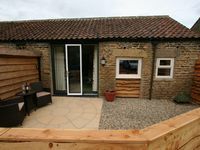 Open Fire, cosy, pet friendly cottage in a private location with stunning views. Property 11: Open Fire, cosy, pet friendly cottage in a private location with stunning views. Holy Island is just 5 minutes away from this superbly equipped cottage. Property 12: Holy Island is just 5 minutes away from this superbly equipped cottage. Shepherds Hut Glamping Experience near Morpeth, Northumberland. Property 28: Shepherds Hut Glamping Experience near Morpeth, Northumberland. Secluded Converted Barn in the Heart Of Rural Mid Wales. Property 30: Secluded Converted Barn in the Heart Of Rural Mid Wales. Property 36: Bryn Awel. Penmachno. Traditional cottage 4 miles from Betws y Coed. Property 45: Private decking area & Central location within 5 min walk of town. Property 49: Amazing barn conversion!